What is the company going to do about a recent sexual assault? The New York Times has the story of how Airbnb handled a recent emergency in one of its Madrid, Spain rentals, and it's not good. In fact, it's basically a horror film come to life. On July 4 of this year, Micaela Giles got texts and phone calls from her son saying that the proprietor of the Airbnb he was staying in was currently rattling around knives in the kitchen drawer and trying to sexually assault him. Giles immediately contacted AirBNB, who told her that they couldn't help and that she should contact the Madrid police department. The number they gave her kept disconnecting, and when she called AirBNB back, her calls repeatedly went to voicemail. Her son, 19-year-old Jacob Lopez, was sexually assaulted that night. The details of the story are chilling. His host met him at a subway exit in Madrid and escorted Lopez to the apartment. She then locked him inside and repeatedly tried to kiss him and ordered him to take off his pants. He attempted to rebuff her while simultaneously messaging his mother. His host, meanwhile, began rattling around in the kitchen drawers, and Mr. Lopez said he feared that she had a weapon and concluded that the choice to leave was not a real one. After the sexual assault, it was not clear whether she would let him go, he said, and he began looking around for something that he could use to hurt her so that he could escape. "I was telling myself that I was going to have to kill her or she was going to kill me," he said. "Thoughts that should never have to go through anyone's mind started to come into mine. How are you going to live with yourself the rest of your life knowing that you killed someone? But if you don't, then you won't have a life." He chose not to try to fight his way out and eventually concocted a story about plans he'd made to meet friends nearby. Those friends knew where he was staying, he told his host, and they would come for him or call the police if he did not meet them. This scared her enough that she let him leave with his belongings. 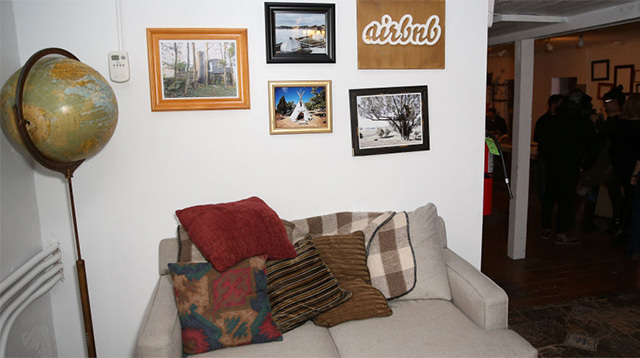 [Airbnb] refers to them as guests and promotes its security measures and hospitality. But its employees made a choice here that a hotel might not make in similar circumstances. Rather than sending someone to check on Mr. Lopez, Airbnb put the onus on his mother to make that happen. â€‹In another case, an Airbnb guest was attacked by a host's dog, and Airbnb did nothing but refund his stay. As someone who frequently uses Airbnb and has only had wonderful experiences, things like this scare me. With hotels, you can always send someone at the front desk to check on a loved one, and there aren't wild variables, like a vicious dog, to contend with. And what, if any, responsibility does Airbnb have to ensure the safety of its customers? For their part, Airbnb spokesman Nick Papas said in an email,"We realize we can learn a lot from this incident and we can do better. We are clarifying our policies so that our team will always contact law enforcement if we are made aware of an emergency situation in progress. Safety is our No. 1 priority, and we want to get our hosts and guests as much help as possible."